I have this photo hanging in my house, love it for some reason. This presentation reviews some of the historical photographs captured by Charles Ebbets in the early 1930’s. 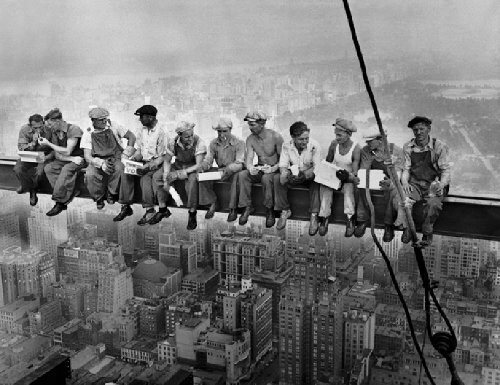 Most of them depict daily scenes of the workers who participated in the construction of the skyscrapers between 1920 and 1935. As you will see, the safety measures were somewhat peculiar and the photos were done trying to play down that situation.